“New Sport for School” was the headline of the story on page 19 of the Democrat & Chronicle that announced that Geneva High School would play their first scholastic game on Wednesday, April 19th, 1922. With that announcement, scholastic lacrosse was underway in Section Five. Perhaps because of the influence of Hobart College, who was one of early adopters at the collegiate level (1898), the Panthers started playing more than ten years before other high schools would begin in the section. There were attempts by schools in earlier years, including a good attempt by West High School (Rochester) in 1909, but Geneva was the first with a schedule that was completed. The team did not have to travel far, as the game was played against the freshman team at Hobart. Coach Covert had concern for the availability of his goalie, “It is hoped that Frolich, who received a broken nose during the early part of the season, will be able to take part in the game and occupy his old position as goal tender”. It is unknown whether Frolich played, but the Panthers defeated the Hobart Freshmen, 3-1. Geneva played a number of games in the first season, including ones against the Syracuse freshmen, Central High School (Syracuse) which ended in a 1-1 tie and the Hobart Freshmen which was won by the Statesmen in the second game (4-0). 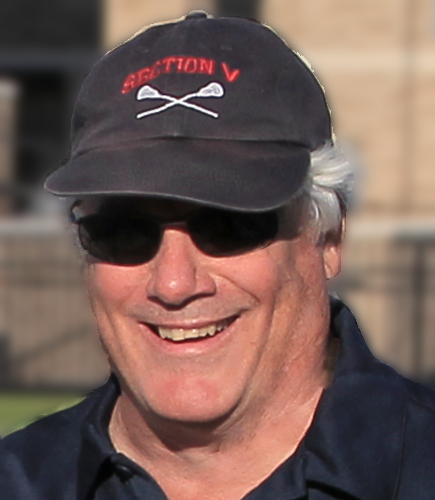 Doctor Jay Byington Covert, sometimes referred to as “the father of Geneva Lacrosse”, was very involved the lacrosse scene in Geneva. He was a graduate of Geneva High School and then attended Hobart, where he took up lacrosse and played in their first game which was a 2-1 win over Cornell. He served as a team captain and the leading scorer before moving on to Columbia University where he continued his stellar career. After earning his medical degree, Dr. Covert returned to Geneva and served as a coach and as a referee. For many years thereafter he served as the team doctor for both the high school team and for Hobart College. I played Lacrosse at Geneva High in the 60’s and did not know about Dr. Covert being the Father of Geneva Lacrosse. In the 60’s-80’s Dr. John Stelter was the Team Dr. for Hobart College. He would also take Geneva High Athletes to games (football and Lacrosse)at Cornell where I got to see future Pro Football player and actor Ed Marinaro break records. He led all rushers in D1 Footballin 1970 and 71. Genevan Joe Corcoran who went on to start Lacrosse at Corning East brought Lacrosse back to Geneva High in the early 60’s I believe. Very interesting. I spoke recently with Joe’s son, Terry, and we reminisced about Joe and his teams at Corning where Terry and his brothers played for his father. 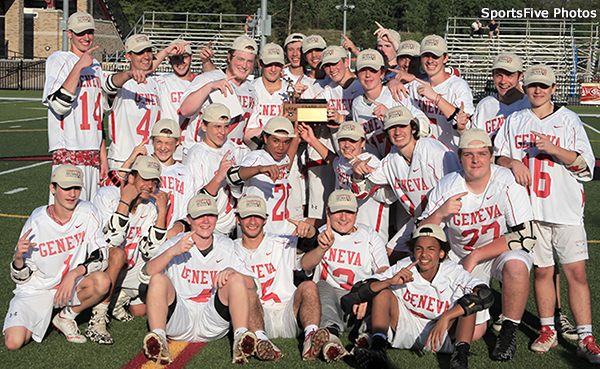 The record is not clear at this point, but we do know that Geneva stopped playing lacrosse at the start of World War II as the boys went off to war. Joe restarted the program as an intramural sport in 1957 and played some games in 1958 before Bob Manners coached the team from 1959 to 1969 When Jack McDonald took over. Geneva certainly has had a history full of stories. Thanks for yours.